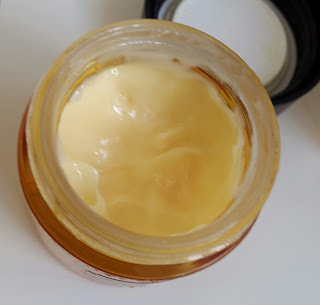 I'm back with another skincare review and again from The Body shop! This time it's from their oils of life range which is meant to feel very luxe but actually still does the job and also at a better price point. From the range i'm going to be reviewing their Intensely revitalising sleeping cream, for people with oily or even combination it can be quite hard to be find a night cream that doesn't clog your pores but still hydrates the skin. Up to now i've just been using any old night cream but been apply more than the usual and just doing a face mask more often to unclog the pores, seems quite the hassle just to keep my face moisturised up until now! 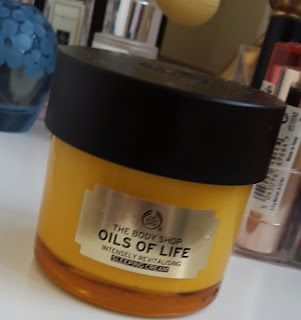 I was seeing a bit of a hype around The body shop's new oils of life range and when I saw they did a night cream I went on the hunt so here's my view on it. This sleeping cream is of course a night cream which is suppose to deeply hydrate, renew and firm your skin while you sleep- hence the name sleeping cream. It is formulated with 3 seed oils and 7 essential oils from all around the world. This sleeping cream works to calm, repair and restore your skin from inside out. So what are the key ingredients? Aqua/Water/Eau, Dimethicone, Glycerin, Alcohol Denat., Nylon-66, Hydrogenated Polyisobutene, Ammonium Acryloyldimethyltaurate/VP Copolymer, Phenoxyethanol, Caprylyl Glycol, Cetyl Alcohol,Salicylic Acid, Caffeine, Tocopherol, Glyceryl Stearate, PEG-100 Stearate, Sodium Hydroxide, Parfum/Fragrance, Acrylates/C10-30 Alkyl Acrylate Crosspolymer, Disodium EDTA, Adenosine, t-Butyl Alcohol, Linalool, Eryngium Maritimum Extract, Leontopodium Alpinum Callus Culture Extract, Citronellol, Crithmum Maritimum Callus Culture Filtrate, Orbignya Oleifera Seed Oil, Myristyl Alcohol, Stearyl Alcohol, Limonene, Citric Acid, Xanthan Gum. The way I apply this cream is after i've cleansed, exfoliated, toned, serum and eye cream, then I apply the sleeping cream. Formula: I was very surprised when I tried this, because to be honest I thought I was going to hate it as it's oiled based, even though i'm oily I also have dehydrated skin but oil based products aren't my best friend and with all the oils in this product I didn't think it was going to be me but it was! The formula is very light but creamy nearly like a gel really, it has a masculine scent to it but it doesn't linger on the skin. If you hate fragrance then your going to hate this or at least ask for a sample in store because it is heavily scented. Application: It doesn't sit on top of the skin, it does absorb into the skin and it doesn't take long to do that probably about a minute. It leaves my skin feeling soft, soothed and actually more radiant. There's no sticky or wet residue on the skin. I am just going to say on first use it did make my face go a little red and tingly but after a couple of uses that stopped, i'm putting it down to the amount of oils work on the skin. 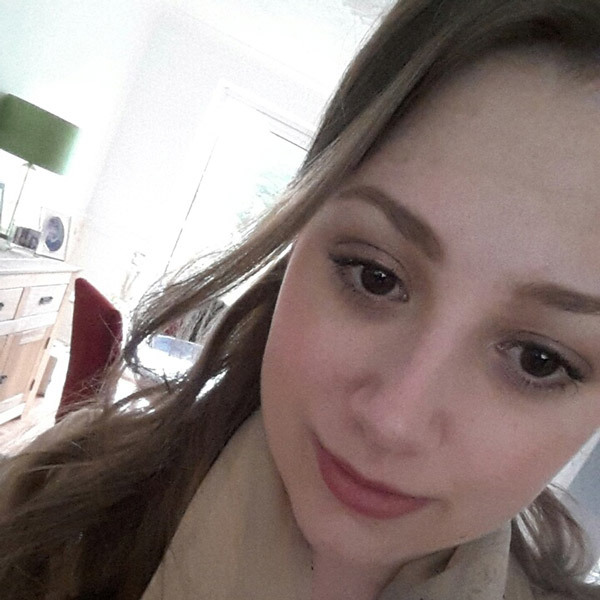 Results: So after a week of using this product I was waking up to softer, plumper and hydrated skin- which is a good thing right? I've had no breakout from which i'm surprised personally I think the oils have actually helped my oily skin everything seems to be balanced now, and everything seems smooth, balanced and glowing! Overall if you are looking for an intense but effective night cream then try this out I highly recommend this! Some night creams can come across heavy and greasy but this one doesn't it's lightweight but so hydrating at the same time, not to mention that it delivers to what it says to do! Whether your oil like me or just want an intensive night cream then give this one a try! It retails for £28.00 and can be purchased at The Body Shop. What's your favourite night cream?